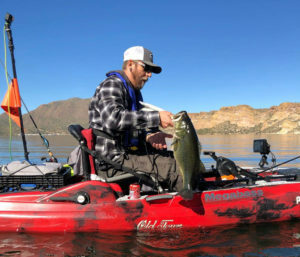 The weekend weather in the desert regions is looking excellent for a fishing adventure with the exception of predicted rain in the Tucson area Sunday. Despite some of the lowest water temperatures of the year (low-50s in desert impoundments), anglers catch still find some spots to bend a rod. After all, this is Arizona. We stocked Tempe Town Lake (63-degree water temperature on Monday) and the Verde River from Clarkdale to Camp Verde. As is the case each winter, the top spots include Alamo, Havasu, Silver Creek, and trout-stocked Community waters. 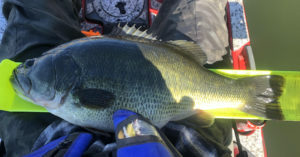 Some big bass have been pulled this week out of Roosevelt, and one angler even reported an 8 1/2-pound largemouth bass caught Thursday, Jan. 24 from Saguaro Lake on a swimbait — it’s our Catch of the Week. As always, if you’re considering heading to the high country, check the Arizona Department of Transportation website for the latest road conditions. Justin Mitchell with an incredible kayak catch, a 22 1/4 -inch largemouth bass caught Jan. 24 on a Megabass dark sleeper 1-ounce swimbait. Justin said the fish weighed 8.62 pounds. Rainbow trout: Verde River (Clarkdale to Camp Verde), Tempe Town Lake, Parker Canyon Lake. Note: At these free fishing clinics, loaner rods are provided, bait is free, and no license is required for those who register at the AZGFD booth during event hours. Take a Kid Fishing Day, 11 a.m. to 3 p.m., La Paz County Park, 7350 Riverside Dr., Parker. See more info and upcoming events. 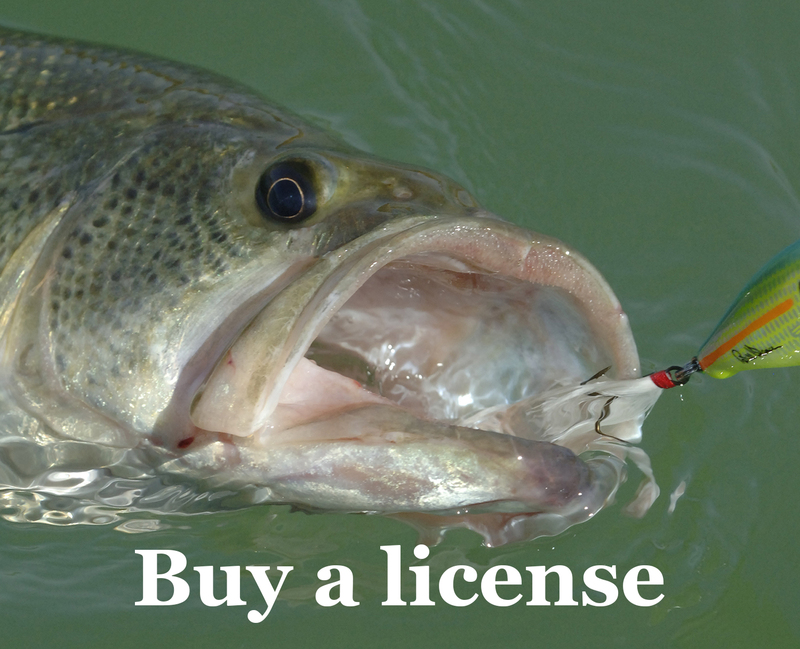 Grab a license online (that helps conserve all species of wildlife, not to mention provides funding that goes back into fishing opportunities) and go “Fish AZ”.